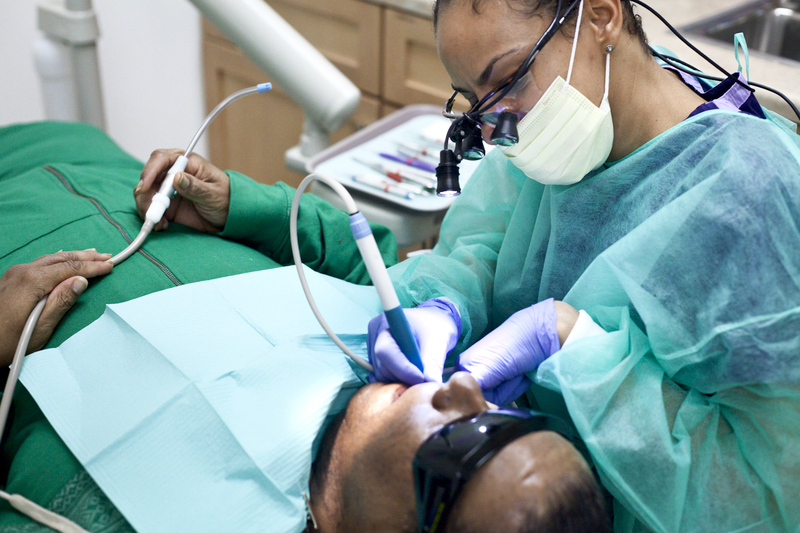 Homeless people in Chicago often have serious dental problems and severely limited access to care. The typical Goldie’s Place Dental Clinic patient has systemic dental problems because of poor nutrition, poor oral health practice, lack of access to care and neglect. A large number require extractions, often multiple extractions. After treatment is completed, they will need dentures, partials or flippers. Goldie’s Place is the only clinic in the City of Chicago providing dentures, partials and flippers to the homeless population at no cost to the patient or Medicaid—saving Illinois taxpayers tens of thousands of dollars every year. In evaluating the needs of the population, Goldie’s Place identified two areas of need that are largely unmet in the landscape of services currently available. The first is hygiene treatment. Left unaddressed, lack of attention to oral hygiene leads to a myriad of dental disease that could be prevented. The second is the need for removable prosthodontics such as dentures, partials or flippers. For the majority of patients who come to Goldie’s Place in pain and need of extractions, simply removing teeth is only a partial remedy. Patients need prosthodontics, partials and full dentures in order to properly chew nutritious food or display a pleasant smile. Washington Square Health Foundation funded a project to integrate a new component to the dental care program, providing oral hygiene treatment (i.e. cleaning, scaling and root planing) to homeless adults. This addition freed up the time of the Clinic Dentist, deployed one 8-hour day per week, of this function and allowed him to devote more time to the provision of dentures and partials to restore normal function and a confidence-building smile. In order to address the substantial ongoing need for hygiene appointments to restore oral hygiene and wellness, Goldie’s Place deployed a Registered Dental Hygienist (RDH) one day a week. The RDH reduced the substantial waiting list for these services. 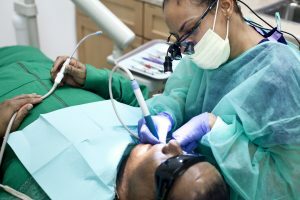 In addition, by providing this service, the RDH relieved the Clinic Dentist from necessary hygiene responsibilities so that s/he could focus more time on the highest and best outcome of their professional services, preparing for and delivering dentures and partials to homeless adults at no cost.